and probably the easiest way to create your own simple robot trading system. 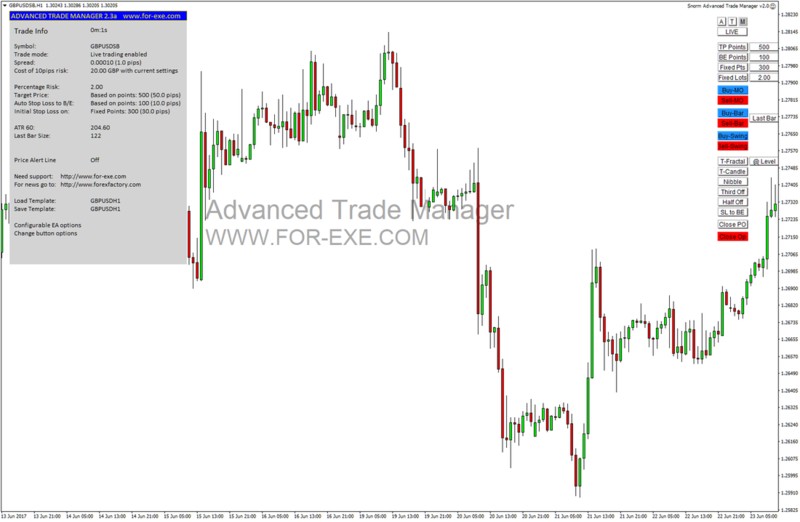 The complete Forex trade manager and assistant for MT4, particularly designed for advanced Forex traders and scalpers who need to enter at the click of a button and let the computer manage the trades. Full customisation with on-the-fly changing of all parameters (as opposed to expert property inputs). All settings saved to user-defined CSV file, that can be unique for each symbol and time frame traded. Does ATM have 'hidden' stop-loss and take-profit levels? Read this blog post 'Broker Fear and Hidden Stop Losses'. Note: there may have been some updates to features since the above videos were produced. 'Trade Logger' for recording your trades to a CSV journal file. 'Trade Levels' to show the R:R levels on your pending / open trades. The licence details and download link will be sent to your PayPal account email address within 24 hours of purchase; although we aim to respond a lot quicker - check your spam folder if haven't received an email from us within a day. ​A single licence allows you to run ATM on one broker account, on as many computers as you wish; or, you can have a PC_Code licence which allows you to run with multiple accounts on the one computer - for the same price. We can create a PC_Code licence on request. Additional licences will be required if running multiple accounts on multiple computers - a discount is available for additional licence purchases for your own use. A licence subscription can be ordered after the first year, for just £3 per month. Please do your own due diligence before purchasing.. We can't offer refunds or free trials on our digital products so suggest, at the very least, you watch the videos above to see what functions ATM offers and that these meet your needs. This tool is designed to support your trading - you will still need to determine what, when and how to trade - risking no more than you can afford to lose.